President Donald Trump announced Monday that he has ordered the creation of a new military branch, adding the "Space Force" to the Army, Navy, Marines, Air Force, and Coast Guard. "It is not enough to merely have an American presence in space, we must have American dominance in space. Very importantly I'm hereby directing the Department of Defense and Pentagon to immediately begin the process necessary to establish a space force as the sixth branch of the armed forces, that is a big statement," Trump said at a meeting of the National Space Council on Monday. "We are going to have the Air Force and we are going to have the space force, separate but equal, it is going to be something." "We understand the President's guidance. Our Policy Board will begin working on this issue, which has implications for intelligence operations for the Air Force, Army, Marines and Navy," White said in the statement. The head of NASA said the agency strongly supports Trump's position "forging a sustainable and focused space policy that strengthens American leadership." "As we continue to thrive in space, we also have more people launching to orbit, and an increasingly complex universe of satellites overhead," NASA Administrator Jim Bridenstine said in a statement, adding that Trump's directive "provides guidelines and initiatives to ensure that America is a leader in providing a safe and secure environment as space traffic increases. Common sense space situational awareness and traffic management will be good for our economy and will help provide a more stable environment for the burgeoning space economy." Trump has previously said that he included a Space Force as part of his national space strategy but also said in March that he not really serious about the idea. Chairman of the Joint Chiefs of Staff General Joseph Dunford responded "we got it" to Trump when he made the announcement Monday morning. 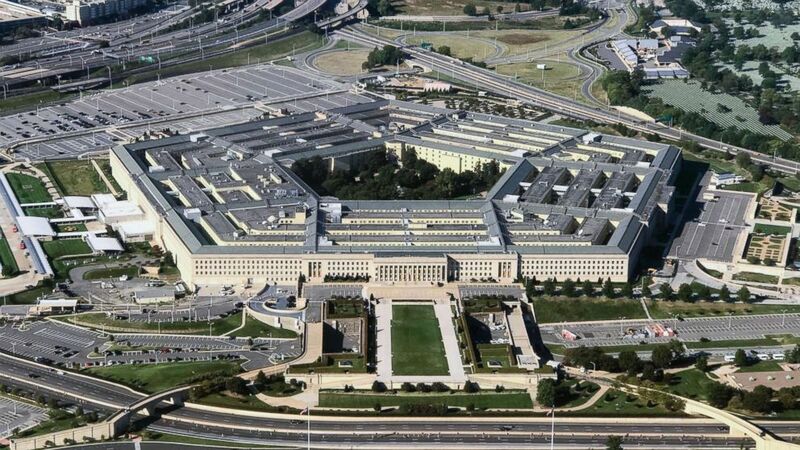 A Joint Chiefs of Staff official said "space is a warfighting domain" and that the Joint Chiefs of Staff will work with the Pentagon, Congress, and other stakeholders to follow the president's guidance. Military officials, including Defense Secretary James Mattis, have pushed back on the idea the military should have a separate space force. Senior officials with the Air Force have also expressed reservations to Congress about the creation of a separate Space Force. The service currently has responsibility for military space operations. The Space Corps – as it's been called – was in the House version of the 2018 National Defense Authorization Act but later dropped in conference. In a letter last summer to Rep. Mike Turner, R-Ohio, who spearheaded the congressional effort against the Space Corps, Mattis said he was opposed to the idea. Testifying in March before the House Armed Services Committee, the former deputy assistant secretary of defense for space policy also pushed back on the creation of a separate Space Corps. "Space is a different kind of domain than air," Doug Loverro told members of Congress during a hearing on space warfighting readiness. "We don't need to move it out of the Air Force in order to go ahead and create the space-smart civilian and military force that we need."